15 minutes play...BumbleBeans Inc.: Adorable Giraffe! and she is making a partner quilt with elephants as well! SO SWEET! I love it! 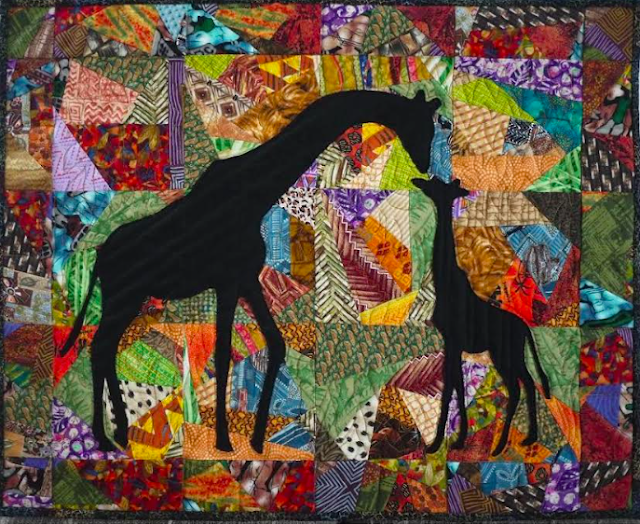 My husband and I love African-themed quilts. 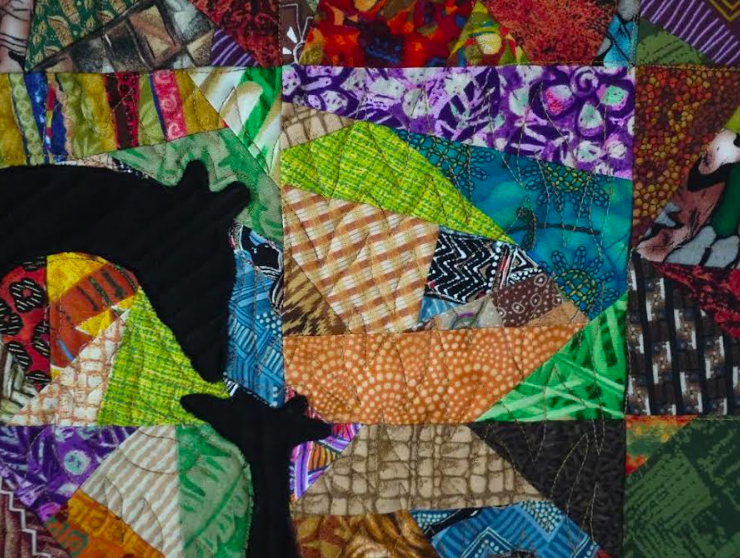 I have a large basket of small scraps of prints that I use in my quilts that are not officially African in nature but evoke to me the color and vibrancy of Africa. I did not know what to do with all of my small scraps until I received your book as a birthday present last year! It was the perfect solution for me. My husband drew up the mom and baby silhouettes and I used diluted Liquid Thread (my favorite way to add applique to a piece) to secure them until I was able to quilt them down. We live in a small 100 year old farmhouse in NH. All 7 of our children have grown and gone and we are down to living contentedly with our 5 cats. Thank you for sharing this with us Cyndi! You made great use of your made fabric in a new and unique vision! So very nice! I'm a zebra fanatic, so my only question would be, where's the zebra? Otherwise, this is such a great idea! So tender and touching. The darker border pieces enclose this twosome very nicely!